WHY WEEP YE NOW WHEN THE NIGHT HAS FALLEN? Why are these men of GOD just waking up from sleep now??? When we mourned and wept what did they do but rejoiced and even went to Aso Rock to congratulate the tyrant without seeing what GOD allowed some of us to see. Like the prophets of old we raised a lamentation but they celebrated a new dawn of change. All of them supported and embraced the change. Why are they crying now just because their empires are under threat? My major posts are under the hash tag #listentodrpatriceyehuda and you can pull out the posts from 3 years back on my timeline or at any time for the records of the prophetic counsels. Biafrans were massacred in cold blood they were not touched and never raised a voice! The masquerading marauders went on a rampage and on a slaughter campaign across the land that was not theirs and they never bothered or raised a voice of caution! They each went to Aso Rock to take a photo shoot with the tyrant. They even shaked the hand of the tyrant! Misery and hardships everywhere, kidnapping and extra judicial killings by the deranged DSS agents of the State and still they looked away! Now they are telling you that they are "the constituted authority" and you are nothing but a caged rabbit set for slaughter whenever they choose and suddenly you are stirred! My heart is seriously bleeding for a people that chose a path such as this for themselves but the people that saw tomorrow like the Biafrans were hated and castigated such that a famed Nobel laureate even mocked them for not voting as the rest of the country did. Go read "NIGERIA: WAKE UP AND CHOOSE THE PROPHETIC PATH"
The rebranded evil alliance of the Muslim Brotherhood is in power in Nigeria. They are the disguised Janjaweeds and Jihadists who crept in while all the spiritual leaders’ slumbered and slept. All the spiritual leaders cared was their empires and nothing more! They deceived themselves that they were teaching and preaching the kingdom of GOD. Do they really understand what the kingdom of GOD is all about? How did they succeed in their plot? It was easy because the Spiritual leaders could be easily bought or hired! The traditional rulers too had no more moral or ancient authority because they all are the same. Everyone has a price tag in Nigeria! That is what the gangster regime knows very well and is exploiting to the full! There are no elections in Nigeria. Everything is fake. The census figures in Nigeria are the worst scams in the world. Nigeria is a pure rogue state! Goodluck Jonathan had a historic opportunity to quickly implement the 2014 confab report but the evil and deceitful ones he surrounded himself with deceived him and prevailed upon him with lies not to implement it. We sent messages upon messages and they blocked the messages from him. It is written in the sacred scrolls that there is a time when one man ruleth over another to his own hurt. There is a time when one people bears rule over another people to their own ruin. That is now the time you are presently witnessing! We told you that the heavens have taken away from the tyrant and his entire team the wisdom and knowledge of governance. They shall be like men groping in the dark! The heavens are against them completely and their days are already numbered! Nigeria is doomed and gone! Woes shall be to all the conspiring tribes who rejoiced and sent their sons to join in the massacre and annihilation of an ancient and noble people for no justifiable reason during the evil war of 1967 - 1970. Why are they outlawing history in the schools? Would Nigeria be able to endure the day of inquisition for the blood of children, women and men massacred in cold blood and which still continues unabated till date? Will Nigeria be able to wash itself clean from all the heinous atrocities and injustice and daily robbing of the poor? Operation Python dance added more to Nigeria's iniquity and state sponsored subjugation and tyrannical oppression of a people! Why was Nigeria rushing to fill up its cup of iniquity? 2017 is actually the fiftieth year if you understand the mysteries of the workings of the heavens. Cursed be the Biafran politician or Chieftain who shall conspire with the camp of the uncircumcised ones to perpetuate his own ancient people in slavery to One Nigeria in order to sustain his selfish empire. Such a man or woman shall wish he or she was never born for such a time as this! 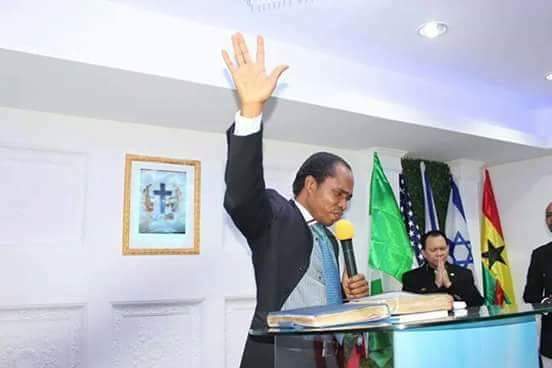 There is a hand that is stretched out to deliver the Biafrans once and for all and that hand shall be utterly against every one marked as a saboteur or betrayer!